Home BOLLYWOOD Deepika Padukone’s New Year Getaway Sans Ranveer Singh? 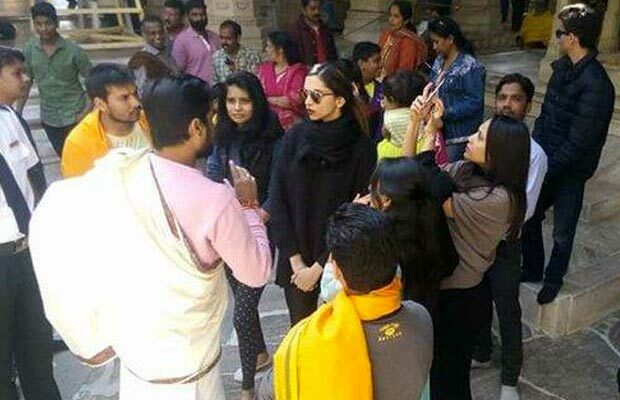 Deepika Padukone’s New Year Getaway Sans Ranveer Singh? [tps_footer]Deepika Padukone has all the reasons to rejoice this year with back to back successful performances in the films ‘Tamasha’ and ‘Bajirao Mastani’. Seems like amazing actress Deepika Padukone has already started with her New Year vacation. After a busy schedule in the year 2015, Deepika is surely eager to go on a break from her hectic schedule. Reports earlier suggested that Deepika Padukone is planning to head to Maldives or Europe for the New Year, but there seems to be a change of plans. Recent pictures captured Deepika in the scenic location of Rajasthan. 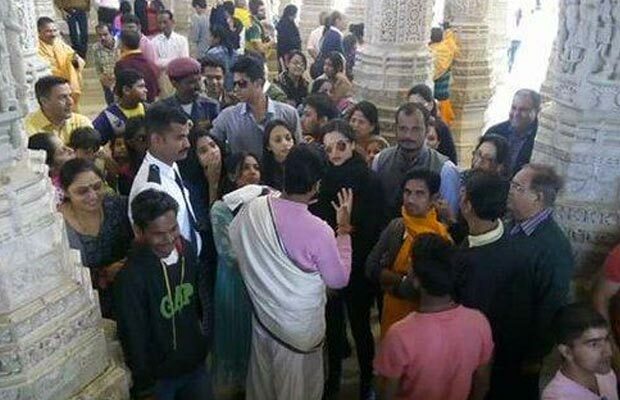 The mind blowing actress Deepika was seen visiting the Jain temple in Ranakpur along with a few close friends and exploring the historic facts of the place. Reports suggest that Deepika is in the state of Rajasthan as she will soon attend the bachelorette of one of her close friends. The beautiful actress did not want to miss the chance on touring the place. Speculations are abuzz with Deepika Padukone’s love life. Recently, there were also rumours that Deepika and Ranveer Singh might spend this New Year together. Deepika however is spending this free time with her buddies. Deepika Padukone is surely on cloud nine with all the compliments she received for film ‘Bajirao Mastani’. The Sanjay Leela Bhansali directorial film is a historic drama and stars Deepika, Ranveer and Priyanka Chopra. Moreover Deepika also impressed the critics with her film ‘Tamasha’. Previous articlePhotos: Wedding Bells For Ranbir Kapoor- Katrina Kaif In 2016?